New information on front and backyard landscaping costs from LandscapingNetwork.com shows consumers how to design dream landscapes without breaking the bank, along with tips for saving money. 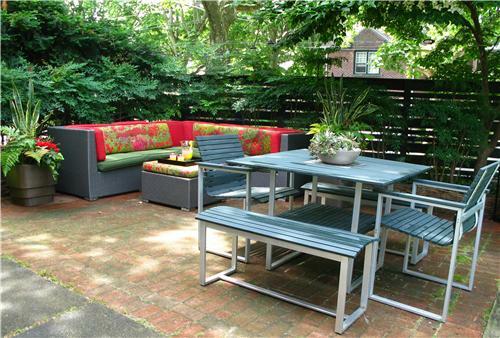 Lavish backyard landscapes can also benefit from money-saving design tips. Rice’s Nursery & Landscaping. 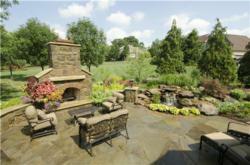 A general rule of thumb is to spend 10% of your home’s value on landscaping. From intimate courtyard retreats to lavish, resort-style backyards, new information available at LandscapingNetwork.com outlines typical landscaping costs for large and small-scale projects. Featuring nine custom landscaping projects from around the country, the site offers helpful insights into front and backyard landscaping costs. There are many factors for homeowners to consider when deciding what kind of landscaping project they are interested in starting, along with what budget they have to work with. Professional landscaping can greatly add to the value of any home, making it a worthwhile investment for any homeowner. The site examines nine custom designed landscaping projects from across the country ranging in price from $50,000 to over $300,000. Projects feature a city garden, desert courtyard, his and hers garden, lakeside backyard, backyard terrace and beautiful spaces featuring resort-style pools and other amenities. For more on typical backyard and front yard landscaping costs, and for a detailed project overview of the nine custom landscaping projects highlighted, visit http://www.LandscapingNetwork.com. Article photo courtesy of Rice’s Nursery & Landscaping in North Canton, OH. Attached photo courtesy of Livable Landscapes in Wyndmoor, PA.
LandscapingNetwork.com works with a team of professional landscape designers and writers to bring together the very best landscaping resources and information available. Homeowners, landscape designers and architects, builders and more can also stay up-to-date through the site’s extensive collection of articles, landscaping photos and videos on landscape design ideas, products and more. For consumers ready to turn their landscaping design dreams into reality, the site offers an easy-to-use Find a Contractor directory to find local landscape designers and contractors throughout the United States and Canada.